The season of amber colors and campfires, hay rack rides and roasted marshmallows is almost here. 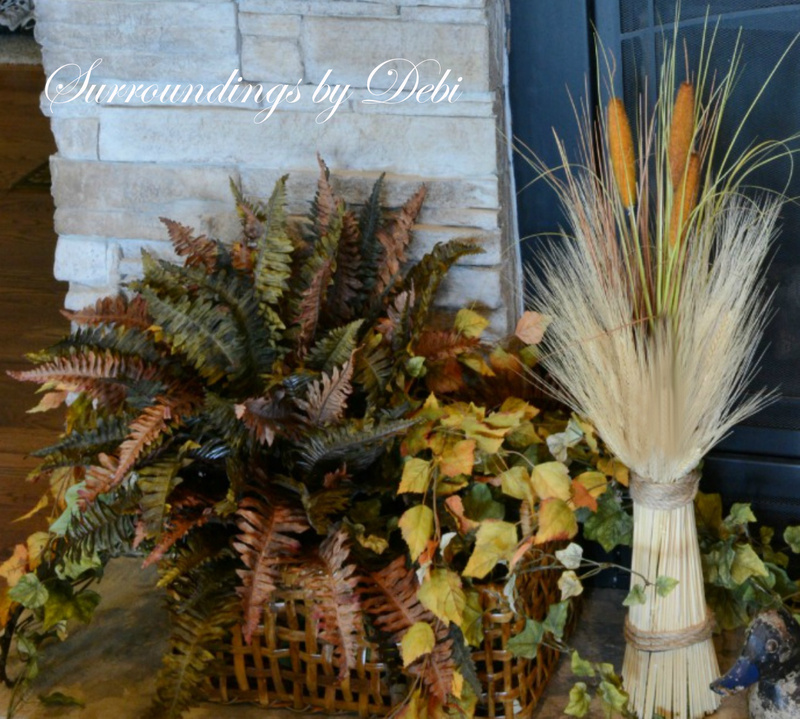 Today I am bringing the colors of the season into the house as I reveal my fall mantel décor for this year. I have been working on this arrangement in my mind since last winter. Always on the lookout for a special bargain, you will find me in stores for the after Christmas sales, scouring the aisles for something that might trigger a thought to set off a new idea. 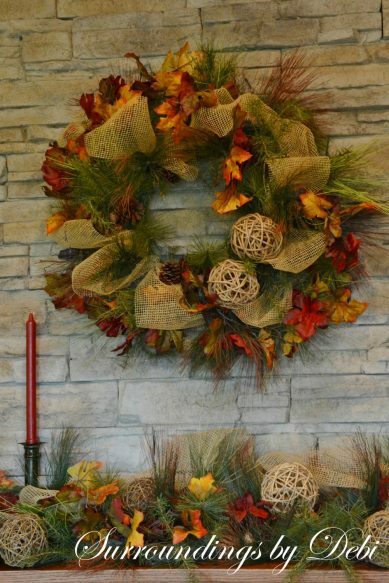 Last year I ran across this wonderful garland and wreath in Hobby Lobby and thought they would work nicely to decorate a fall mantel with their touch of “rusty red”. 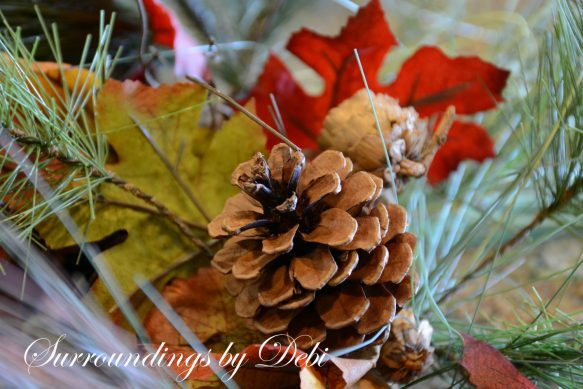 Best of all they would transition perfectly from the fall season right into Christmas. At 90% off I could hardly resist!!!! – So I didn’t and the next thing I knew they had found their way into my cart. 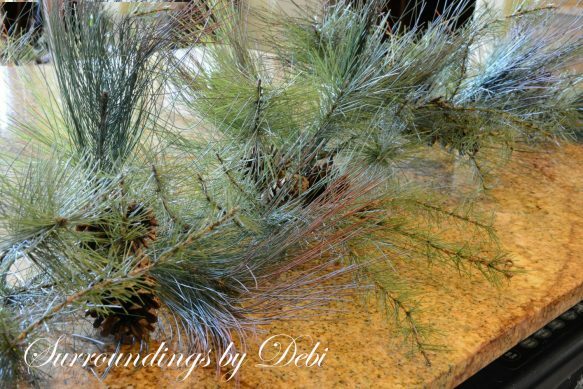 I began this year’s fall mantel by fluffing the branches of the garland and working an inexpensive fall leaf garland into the pine. 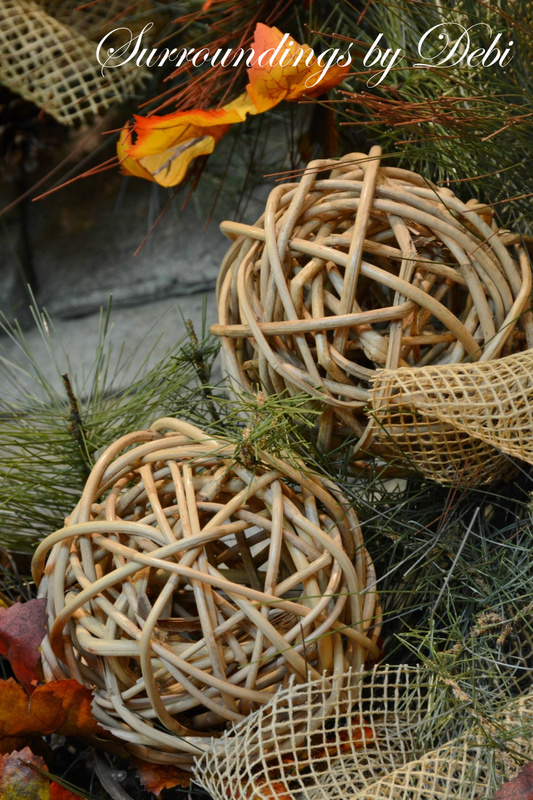 Next a “burlap looking” mesh ribbon was woven through the branches. 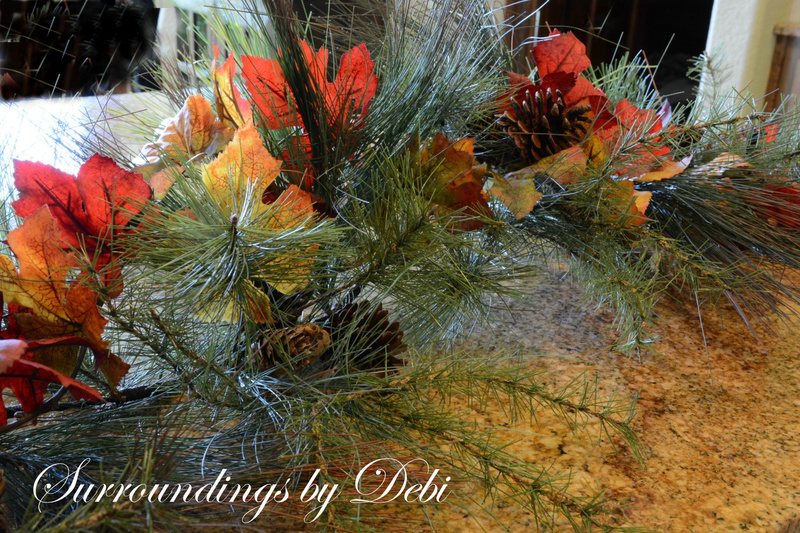 The garland was full of these wonderful pine cones – adding to the fall feel. I followed the same process to create the matching wreath and added two twig balls to add a bit of interest. Once I had completed the garland and wreath, I placed them on the mantel and added additional twig balls to accent the garland. 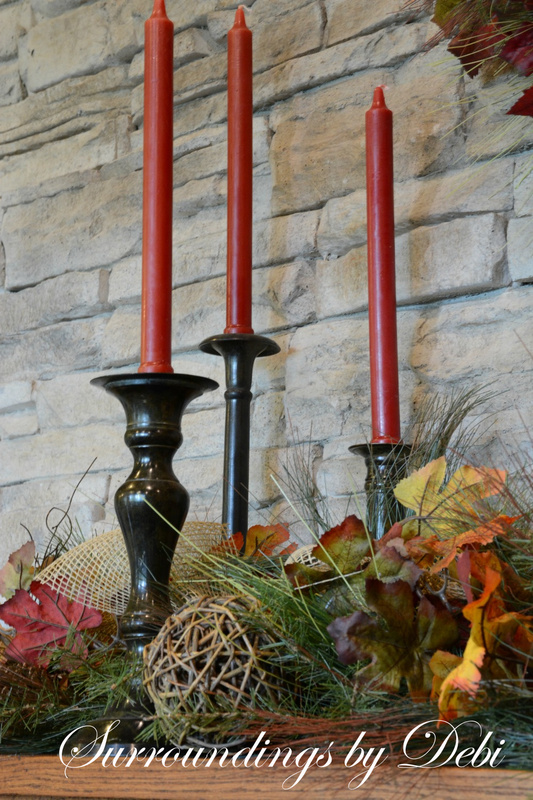 Candlesticks were added to one side of the mantel. 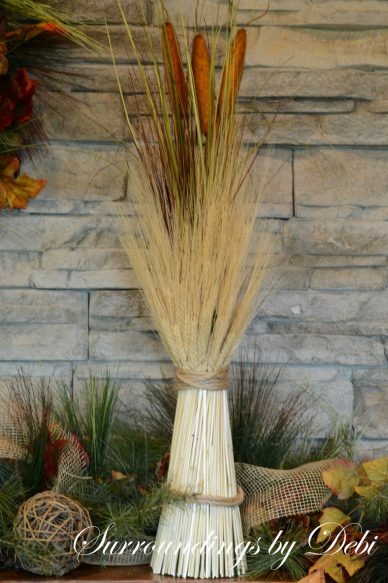 And one of my wheat sheaves accented the other. If you missed my recent tutorial on creating these sheaves, you can find it HERE. 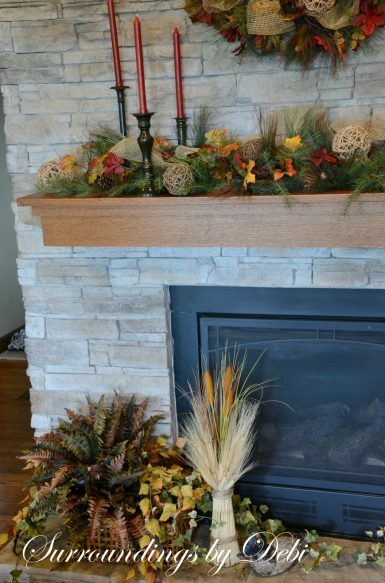 The same fall cascading leaves I had used on last year’s mantel were again added to one end of the mantel. You can see that mantel HERE. This helped to bring the eye down towards the stone hearth. To balance the look of the mantel, I added an additional sheaf to the bottom hearth and nestled it next to a basket of fall colored ferns and leaves. An antique duck decoy was tucked in among the leaves to add to the fall seasonal look. I love seeing him peeking out at us. The mantel is so tall it is difficult to capture the whole look in photos, but I think you can get the feel of it here. I can just imagine the fire burning in the fireplace on the upcoming chilly evenings. For now, a fire will have to wait a bit as the daytime temperatures are still in the 80’s in Arkansas. I have three mantels in the house – do you think I will get them all decorated this year?? If so, it will probably be just in time to get out the Christmas décor! 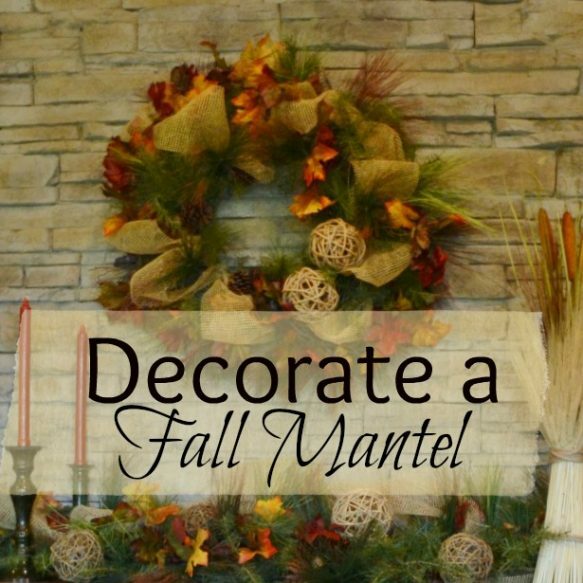 I can’t wait to see everyone’s fall mantel creations! If you like this mantel décor, I would be so happy if you would please take time to Pin It! Or share it on Facebook! « DIY Wheat Sheaf – Great Fall Decor! all your designs are wonderful! I would to work by your side to see the how to. Thank you for your kind words Sondra. Hopefully you will be able to see many more “How To’s” in future posts! These are some really pretty ideas! Thanks for sharing! Thank you Amberly! I appreciate you stopping by. Debi your mantel turned out great! Thank you for sharing your tips and reveal at THT. Thank you Pamela. I appreciate you hosting your party. I am just getting started and it is nice to discover new parties to attend. I hope I can can add interest to your party. Thank you for hosting your party Katherine! You will definitely see me back! I will be watching. Have a great weekend. I love your blog. I will be a frequent visitor! 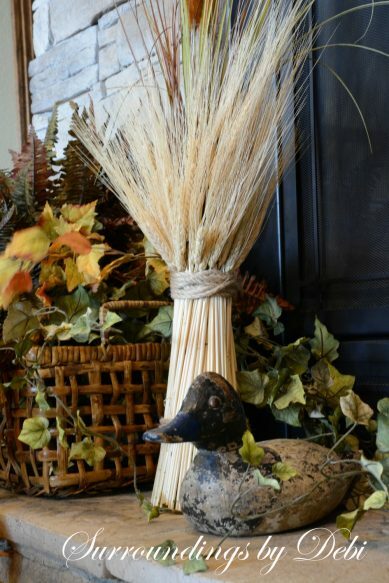 It’s so nice to see what other people are doing with their home decorating. 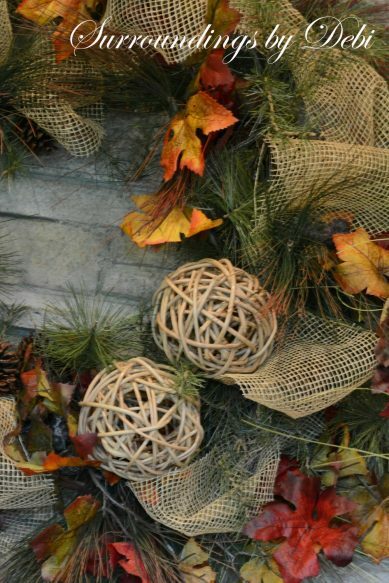 soooo easy to “fall” in love with these ideas !!! Love it ALL ! particularly the wreath, the sheaves and the twig balls…candle sticks too. 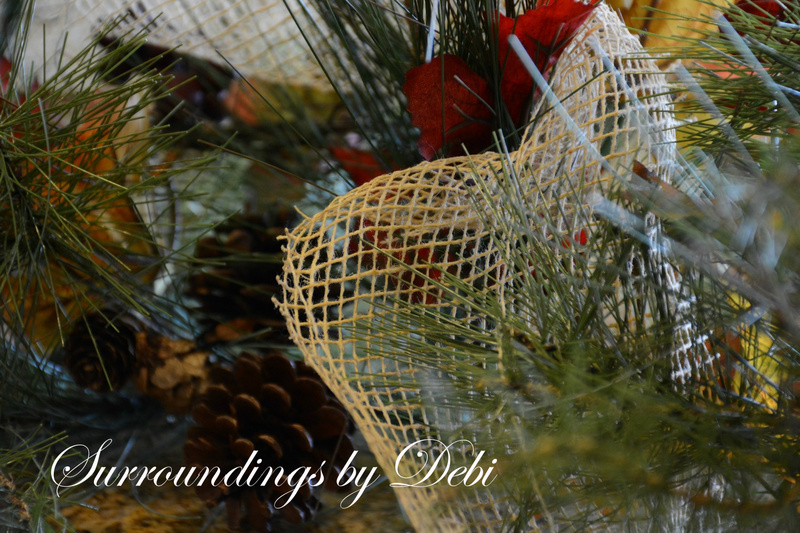 Gorgeous Debi ! Thank you Beth. This means a lot coming form you. Thank you Rosie. 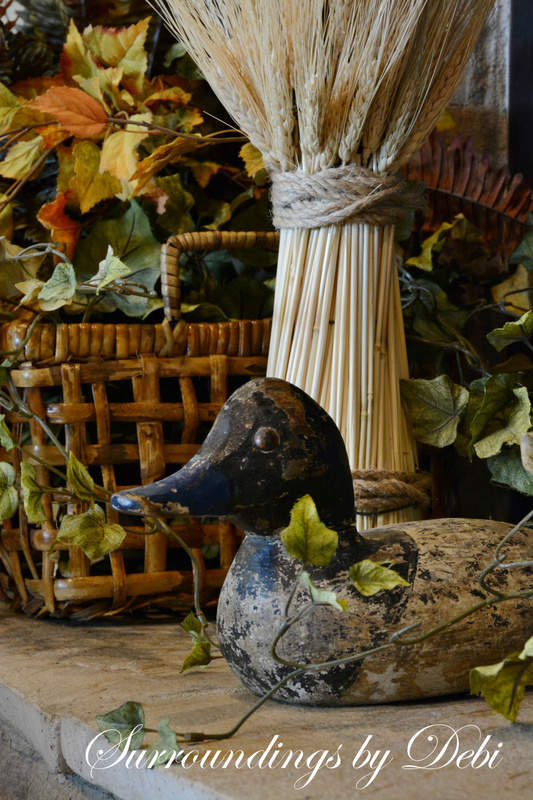 I love to decorate this home. I love your ideas! Please move to Dallas! How about we meet halfway and get together!